The tropical glaciers of South America are dying from soot and rising temperatures, threatening water supplies to communities that have depended on them for centuries. But experts say that the slow process measured in inches of glacial retreat per year also can lead to a sudden, dramatic tragedy. 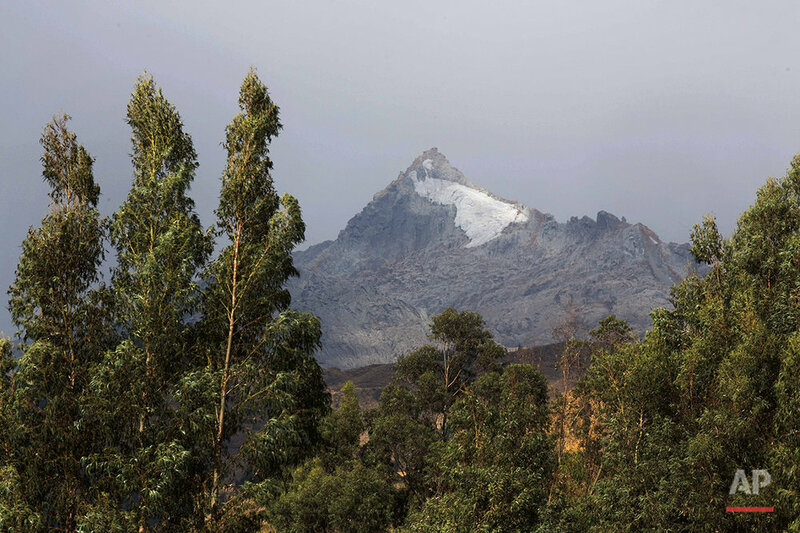 The melting of glaciers like Peru's Pastoruri has put cities like Huaraz, located downslope from the glacier about 35 miles (55 kilometers) away, at risk from what scientists call a "glof" — glacial lake outburst flood. A glof occurs when the weak walls of a mountain valley collapse under the weight of meltwater from a glacier. 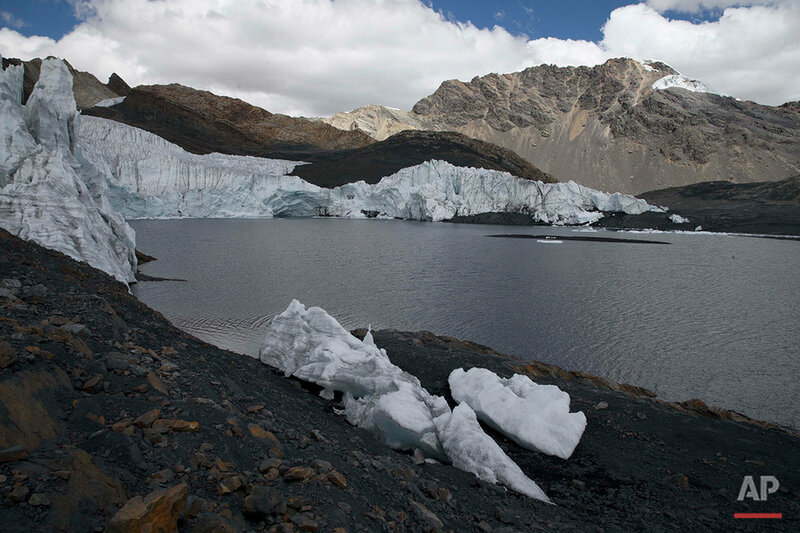 Recent examples include the rapid draining in 2013 of a lake at Chile's Ventisquero glacier in the Bernardo O'Higgins National Park, six years after another, nearby lake essentially disappeared there. Those sites are in remote, sparsely populated Patagonia. But if the glacial Palcacocha lake collapsed, it could cause a damaging flood, say experts in Peru, sort of like a smaller, modern cousin of the ancient glof that is thought to have carved the English Channel. 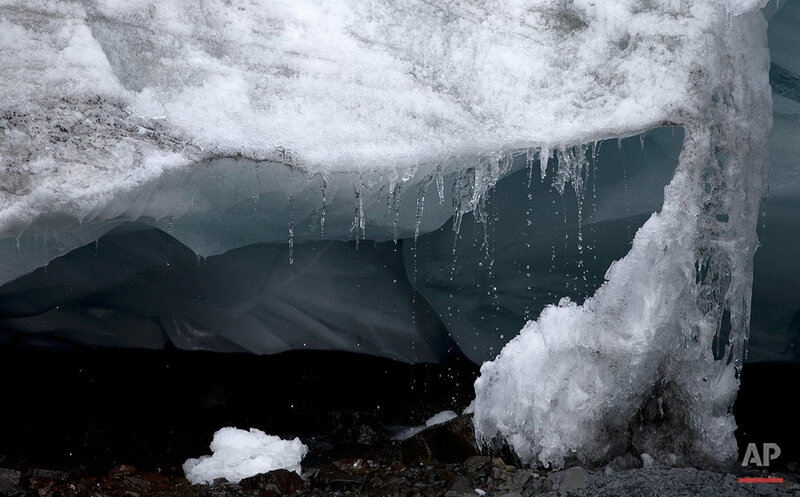 "As glaciers disappear around the world, there is less water available for use for hydroelectric power, as a renewable resource for agriculture, for human consumption," said Benjamin Orlove, a professor of international and public affairs at Colombia University in New York. "The glacier retreat also brings many disasters. Entire slopes are destabilized, creating landslides that travel many miles and have destroyed entire towns." 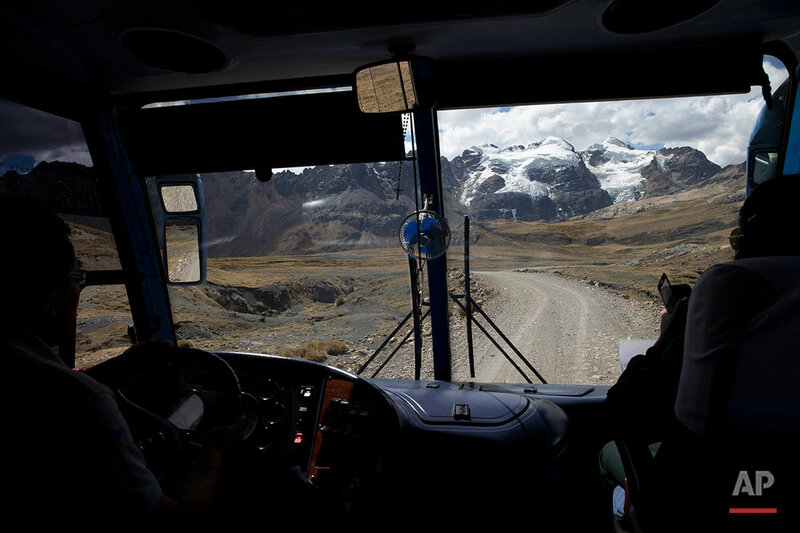 Benjamin Morales Arnao, the head of Peru's National Institute for Glacier Research, said that while the country's glaciers "are a source of life, due to their water resources and biodiversity ... these glaciers are also a source of glacial catastrophes." The problem is that glacial lakes are often fragile structures, created when rocks and rubble carried by a glacier form a moraine that dams up its water outflow. The dam can also be created by chunks of a glacier's own ice. These inherently unstable structures can collapse quickly, especially in a place like Peru that is prone to frequent, violent earthquakes. At a conference last week on the glacier retreat in Peru, Morales Arnao said that Huaraz, a city of about 100,000 people, is particularly at risk from Palcacocha lake, just 12 miles (20 kilometers) up the mountain above the city, and called for resources to mitigate the risk. Dams, spillways and other waterworks have helped in other places. Massive glofs have occurred regularly in sparsely populated parts of Iceland and other nations. The International Centre for Integrated Mountain Development, a regional intergovernmental research center that serves the eight countries of the Himalayas, said that in Nepal — whose proximity to the highest and largest meltwater sources in the world makes it particularly vulnerable — "little attention was paid to the phenomenon until the sudden outburst of the Dig Tsho," a relatively small meltwater lake in the Mount Everest National Park. On Aug. 4, 1985, the lake's moraine dam collapsed, and all its water drained into a downstream valley in four hours, causing losses as far as 30 to 35 miles (50 to 60 kilometers) downstream. A large ice and rock avalanche had cascaded into the lake, creating a wave that spilled over the moraine and caused it to collapse, the center's report said. "It discharged an estimated 6 to 10 million cubic meters (as much as 2.6 billion gallons) of water into the valley below." Digging stone- or cement-lined channels through glacial dams is one solution to the threat. Many moraine dams collapse because meltwater erodes them by seepage or over-topping them. Stopping global warming that is increasingly causing glaciers to melt is another. 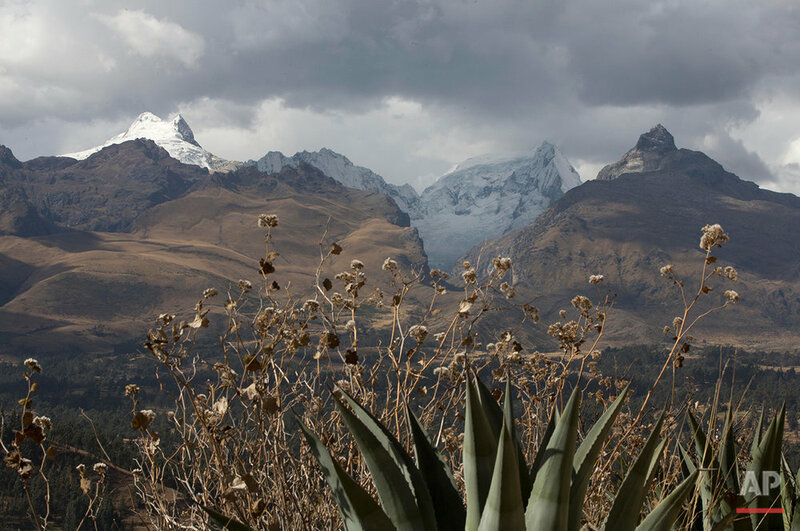 Experts at the International Forum on Glaciers and Mountain Ecosystems held in Huaraz last week concluded that the world is going to have to plan on melting glaciers, at least for the time being. 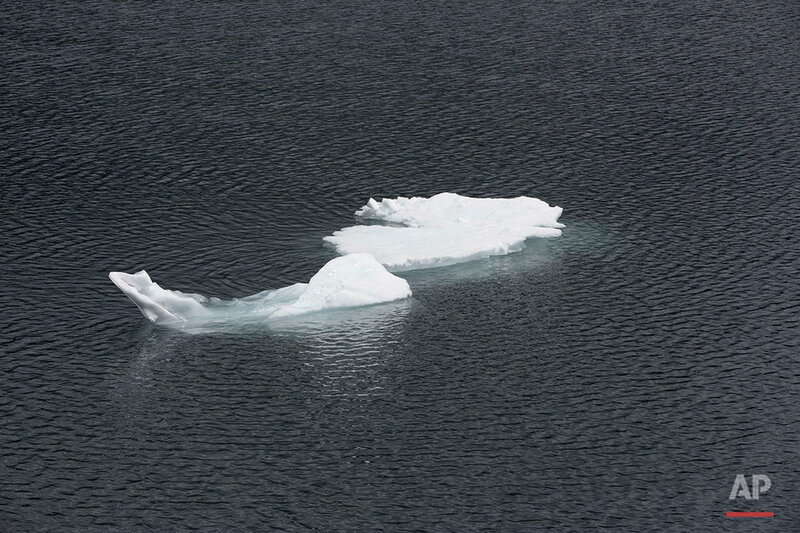 "The processes of climate change and glacial melting are irreversible," the forum said in its conclusions. "We have to carry out actions to adapt, and mitigate the risks." "The long-term solution is for the world to shift to different energy sources, sources that are renewable, sources that do not emit gases that cause climate change," Orlove said. "In the short term we have to find adaptations, like installing early warning systems for disasters in the most sensitive areas." 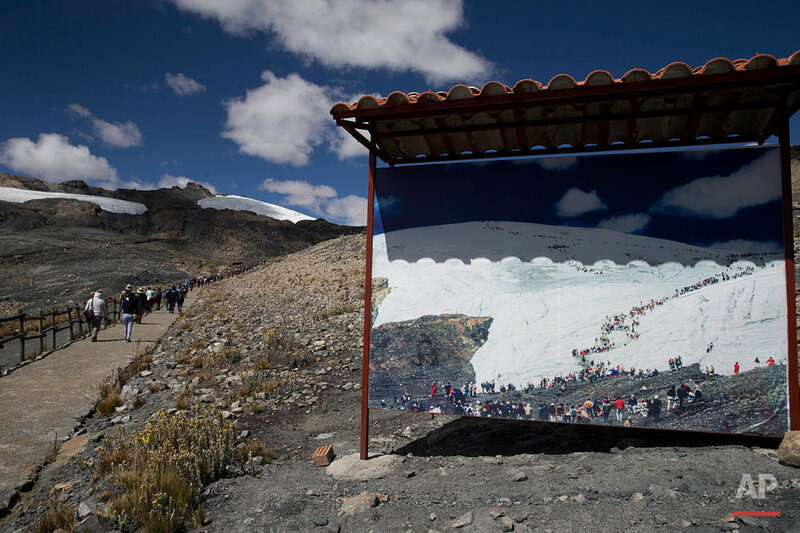 Text from the AP news story, Melting glaciers pose threat beyond water scarcity: floods, by Mauricio Munoz.